Commercial Announcer: Defy reason. Defy everything you know. A mind blowing experience of the occult and supernatural. Peter Vincent. A magical tour de force. Peter Vincent. Welcome to Fright Night. Onstage at the Hard Rock Hotel and Casino in Las Vegas. Q: Is Chris Sarandon really in this movie? Q: What are the differences between this remake and the 1985 version? Excellent 3D in this (especially when executed vampires explode into sparks which come right up to your nose! ), but it's a pointless remake of the 1985 version. 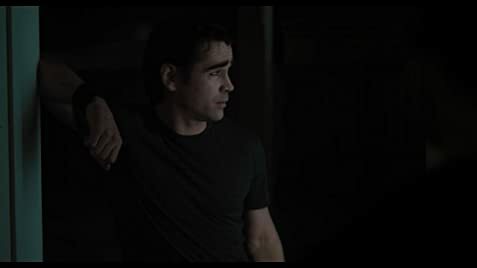 Colin Farrell has screen presence but Chris Sarandon made a more charismatic and scarier vampire. 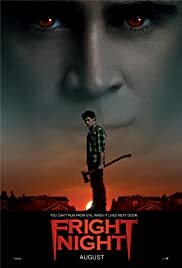 Anton Yelchin is nothing special as teenage nerd Charley, and David Tennant's reworking of the reluctant vampire-hunter has none of the engaging quality that Roddy McDowall had. This re-vamped (oops!) Peter Vincent has a very potty mouth and the grunge look of violinist Nigel Kennedy. The 1985 version had a pacier script, more suspense and (without the 3D) better special effects. This comedy-horror has fewer laughs and less chills. I hope there isn't going to be a remake of THE LOST BOYS.